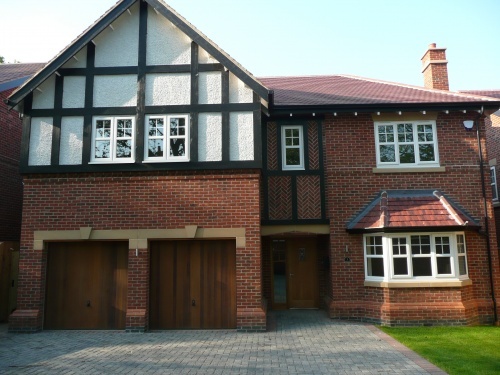 Situated on this exclusive development of only four properties approached via a private tree lined driveway is this magnificent double gable fronted five bedroomed detached executive residence. The accommodation includes three bathrooms, three reception rooms, and an additional games room/office/gym. Finished to a very high specification with gas central heating, double glazing, alarm system, music system, and quality fitted kitchen by Kedleston Interiors which incorporates granite worktops, stainless steel appliances and wine cooler. Outside there is a block paved driveway, integral double garage and private enclosed rear garden. This brand-new property also has the benefit of a 10 year warranty from Premier Guarantee.